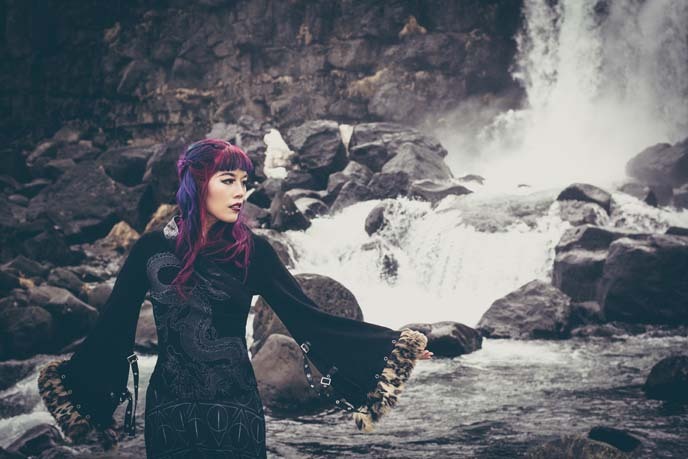 If you’re a fan of Game of Thrones, then I have a feeling you will like these Iceland photos… inspired by the fantasy fashion and northern landscapes! I’m also happy to announce that our Iceland travel video is now out — and you can watch it here. 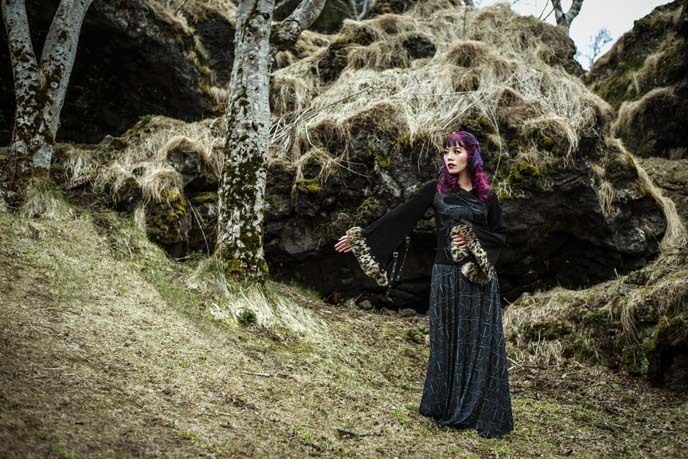 Above: I’m honored to have one of these Icelandic images on the cover of Love Japan magazine. 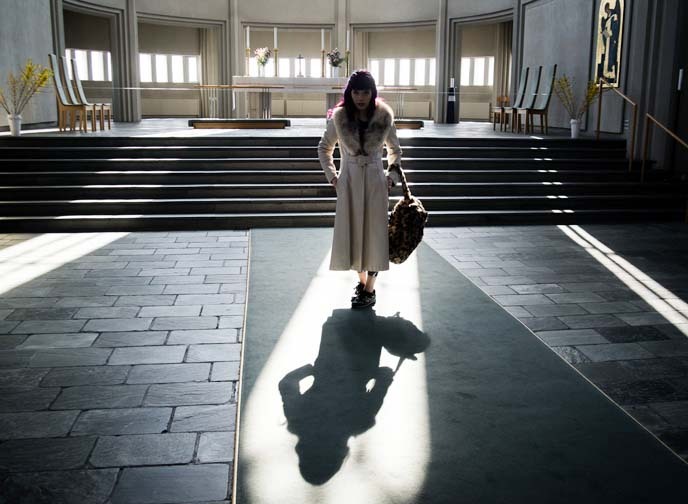 Inside, you’ll find an exclusive interview with me, and a spread of photos taken both in Reykjavik and worldwide. 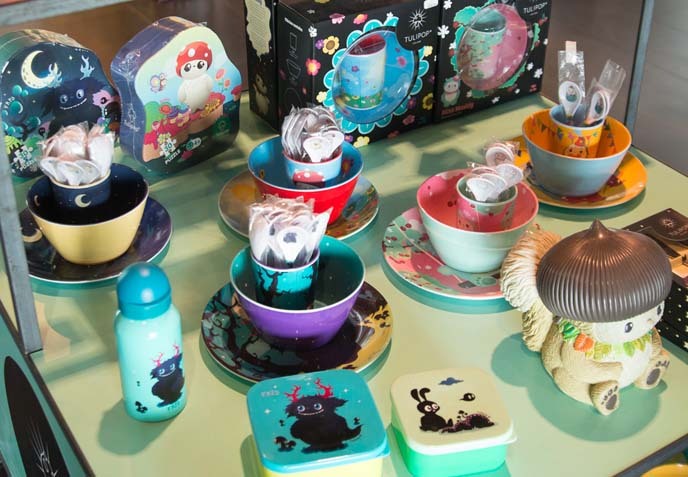 Love Japan is a publication that I believe in: it’s dedicated to Japanese culture, lifestyle, food and fashion. You can find this issue in various stockists around London, or order it online through their site (the first 20 customers get special gifts). It’s also free to read online here. 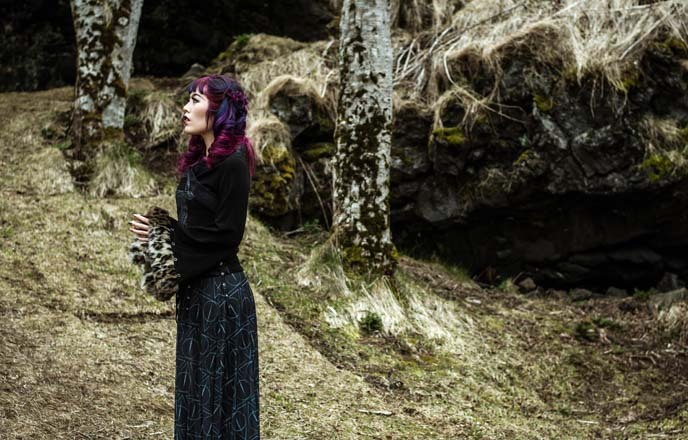 During our time in Iceland, Joey and I also shot an atmospheric film of our travels. It’s quite different from my usual episodes, and has more of a music video feeling. What do you think? 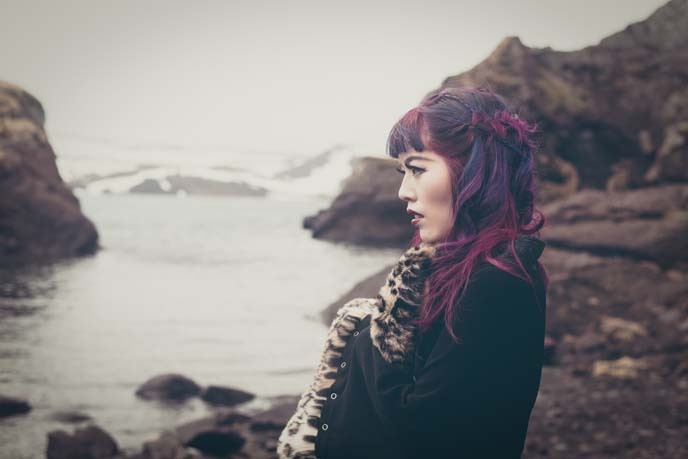 Watch our video above, or on my LaCarmina YouTube. I’m a fan of HBO’s Game of Thrones, which is partially shot in Iceland (standing in for the Wall and North of the Wall). What better place to do a photoshoot inspired by the characters? I channeled Daenerys Targaryen with my braided and curled hair. 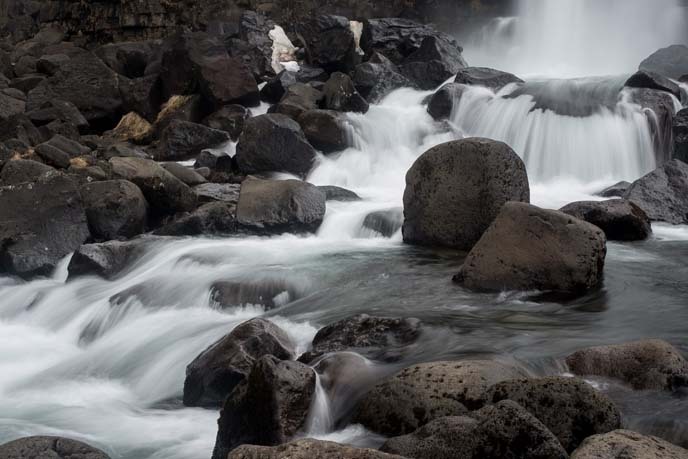 Iceland is a photographer’s paradise, thanks to the clear light and dramatic landscapes. Photographer Joey couldn’t resist crossing the road to capture this mountain range. We got access to these hidden nature areas, thanks to Thor and Anna of Salty Tours. They were excited about our photoshoot concept, and brought us to the perfect settings, far away from other tourists. Since we were on a private Jeep tour, we could go wherever we wanted and work at our own pace. 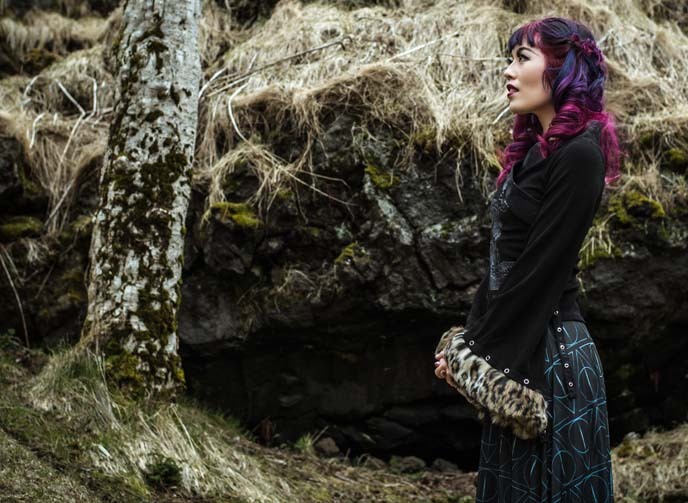 We couldn’t have asked for a more magical location, at this elf park. 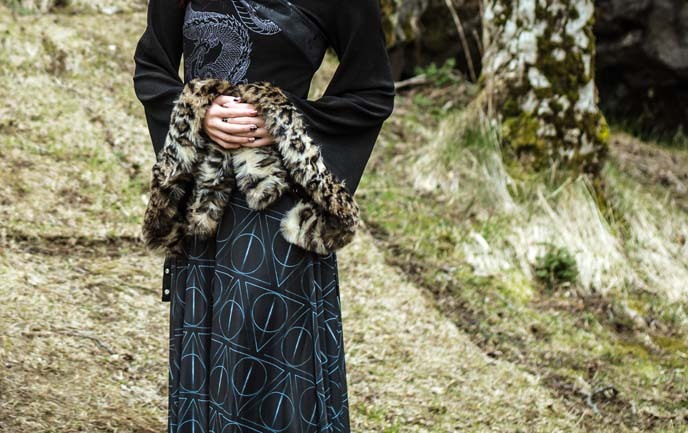 I’m channeling the dragon queen and King’s Landing fashion, with my wide-sleeved top (by Japanese brand Ozz On, found at Closet Child. 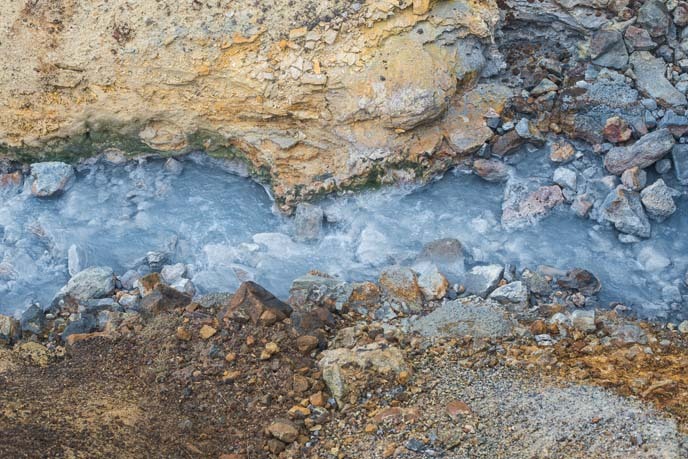 Salty Tours took us to sulfur hot springs, Icelandic horse farms and other hidden spots throughout our day journey. We were grateful for this customized 4×4 experience, which went above and beyond a regular Golden Circle tour. 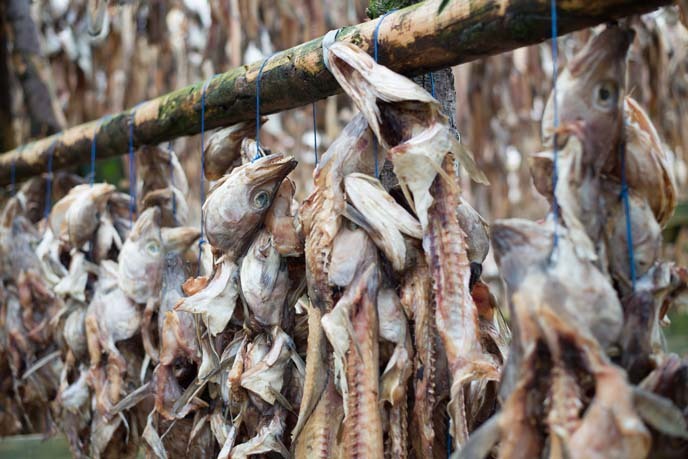 We even stopped by a bizarre rack of dried fish, and tried fermented shark! 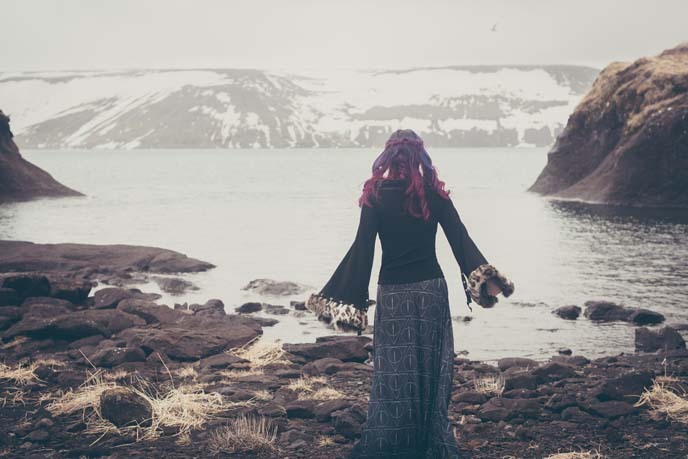 For the full story of my Salty Tours adventure in Iceland, check out this post. When Joey and I researched Iceland, we were in awe of the black sand beaches. We asked Salty Tours to take us to one, and they delivered by bringing us to this epic, deserted beach. 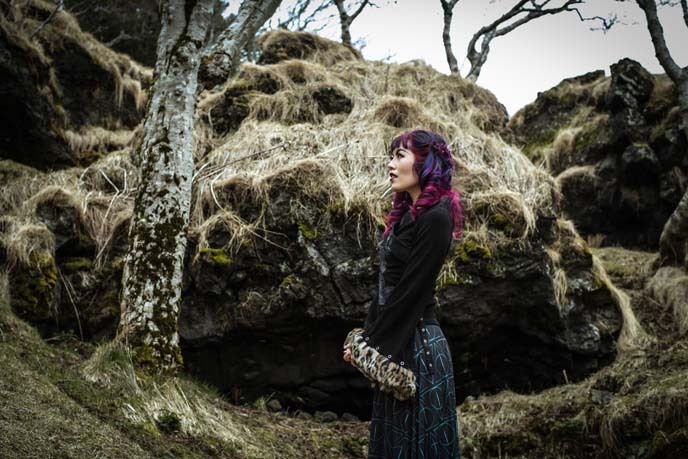 How Gothic is this location? Joey set up lights, and Thor and Anna kindly assisted us with the equipment. We were grateful for their help — we wouldn’t have been able to capture images like this, without Salty Tours! 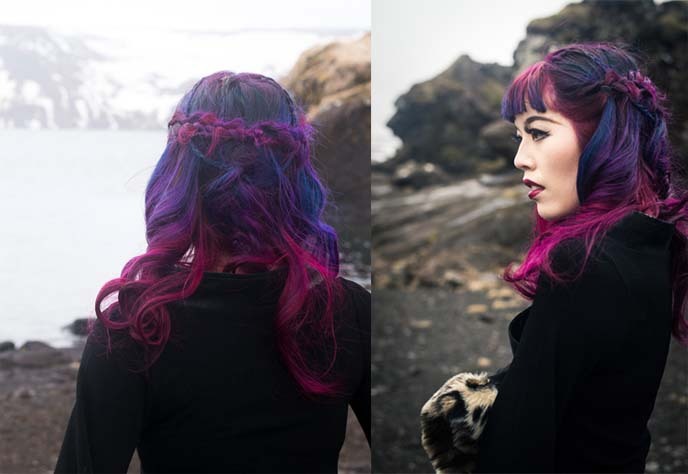 My stylist, Stephanie Hoy of Stratosphere Hair Salon in Vancouver, put my hair in princess braids. We looked at photos of Daenerys and Cersei, and she created her own look inspired by their hairstyles. 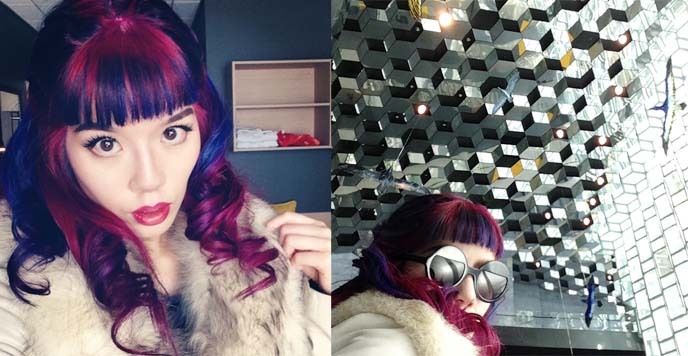 Stephanie also does all my vivid hair colors, which never fade out. Give her a ring if you want rainbow hair like mine! 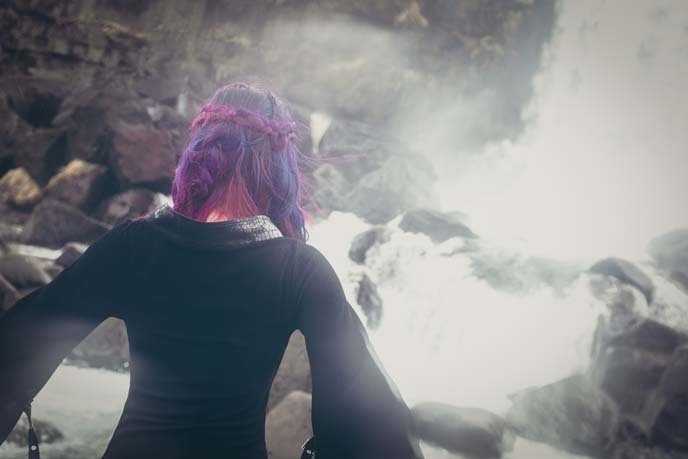 Finally, Salty Tours took us to a little-known waterfall, Öxarárfoss. We got to go right up against the crashing falls, and get the best possible photos. Yes, there’s an Asian dragon on my Ozz On top — how appropriate! The mist from the waterfall resulted in a mystical effect. It’s pretty obvious that I fell in love with Iceland! The energy here is remarkable, and unlike anywhere else in the world I’ve visited. Humongous thanks to Salty Tours for making our dream photoshoot a reality. If you come to Reykjavik, shoot them a email — there’s no better way to experience Iceland than on one of their private, bespoke Jeep tours. 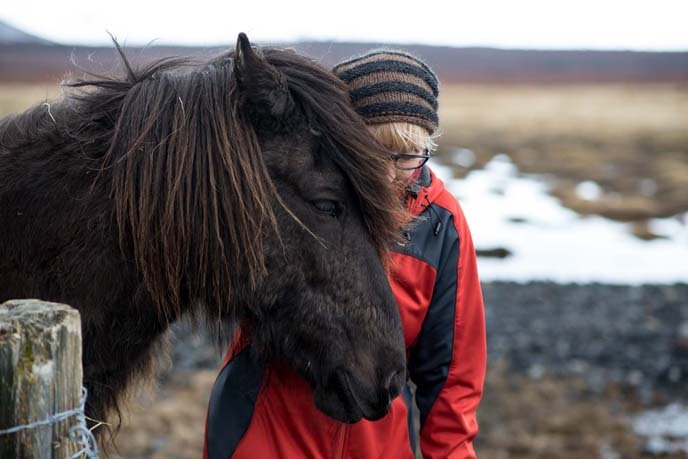 See the rest of my Icelandic nature tour, including the cute horses we met on the way! 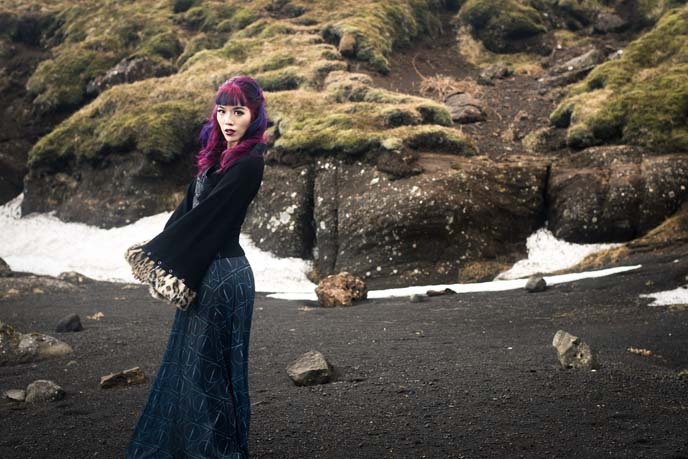 What do you think of our Game of Thrones styling and photos, shot in Iceland? 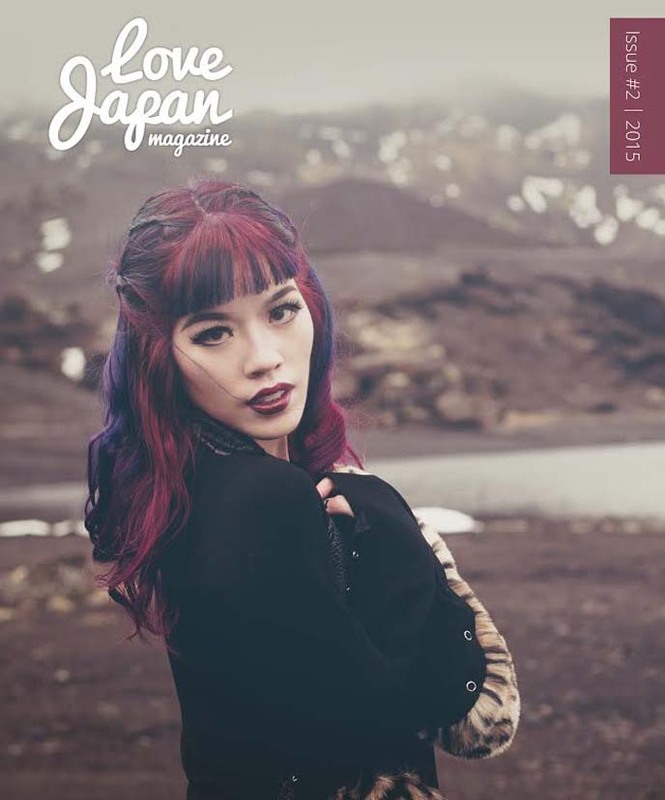 Thank you to Love Japan for the magazine cover feature – be sure to check out their site. If you enjoyed this post, we’d appreciate any shares! And please take a few minutes to watch our Iceland travel video — there are RuPaul’s drag queens in there. 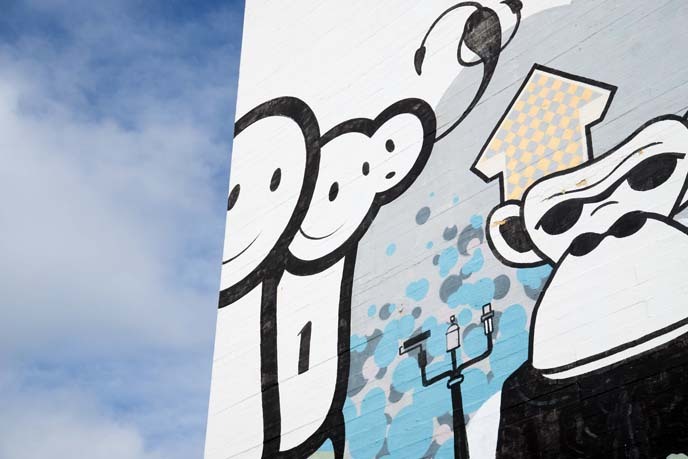 Reykjavik’s cool architecture & street art murals! Iceland Dead Gallery, Harpa Concert Hall, Hallgrimskirkja. When I was growing up, I didn’t know anyone who dreamed of going to Iceland. Now, it seems all my friends want to visit Reykjavik. 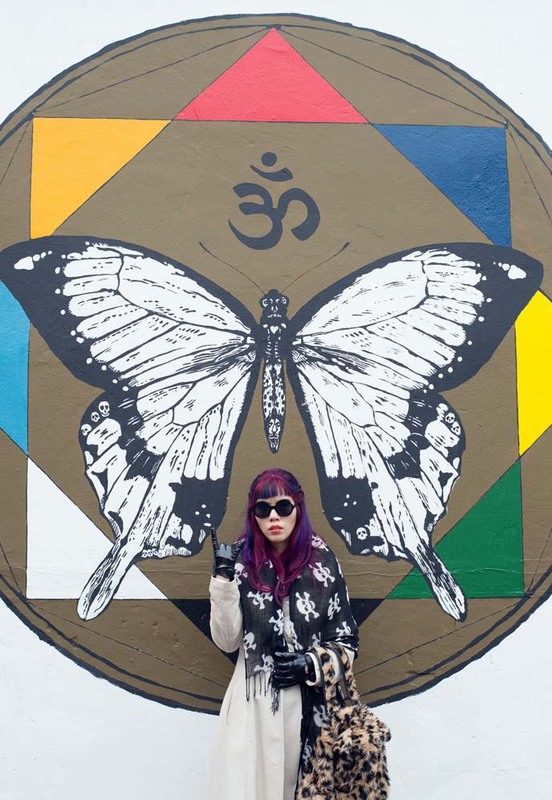 Somehow, this far-away place has become the hipster travel destination. 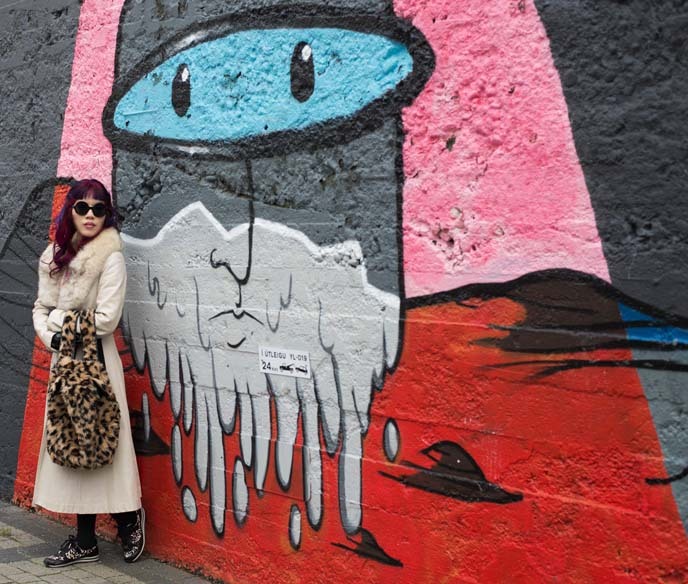 I didn’t know much about Reykjavik before I came, but heard whisperings of an indie music scene, wild nightlife and creative culture. Sounds like my type of place — and it delivered on its promises! 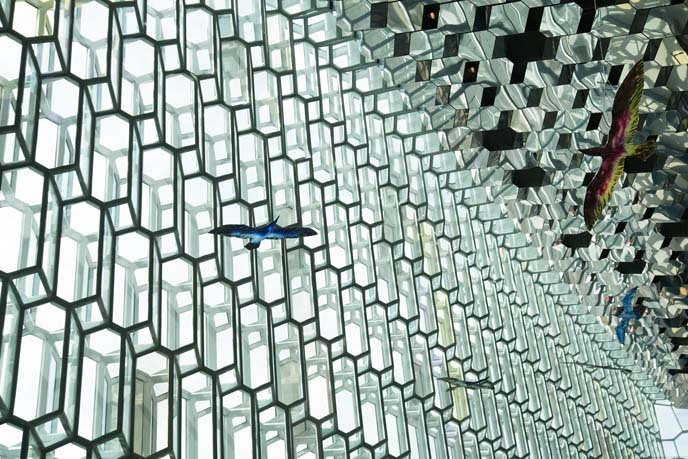 .. and marvel at the prismatic architecture of Harpa Concert Hall. First impressions: Reykjavik is smaller than I expected. The city essentially has two main streets filled with shops and restaurants. Perhaps I shouldn’t have been surprised since only 119,000 people live here — and there are only 325,000 residents in the entire country! 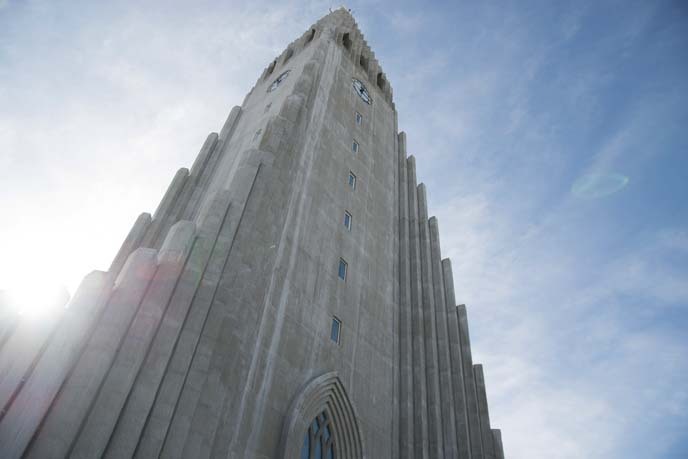 Hallgrimskirkja towers over the city center. This Lutheran church is a wonder of Expressionist architecture, the early 20th century movement that harmonizes stylized forms with the native landscape. 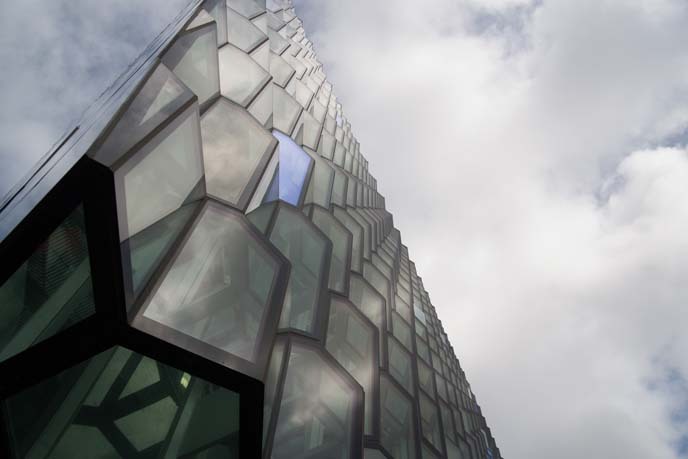 In this case, the exterior patterns are inspired by Iceland’s basalt formations, which naturally result from cooling lava. The church design was commissioned in 1937, but wasn’t finished til the 1980s. I suppose it’s fitting that I’m wearing my Italo Disco pimp-coat, which would be en vogue during the last days of disco. I love this decadent garment, which I found in a Portland vintage store (more photos here). 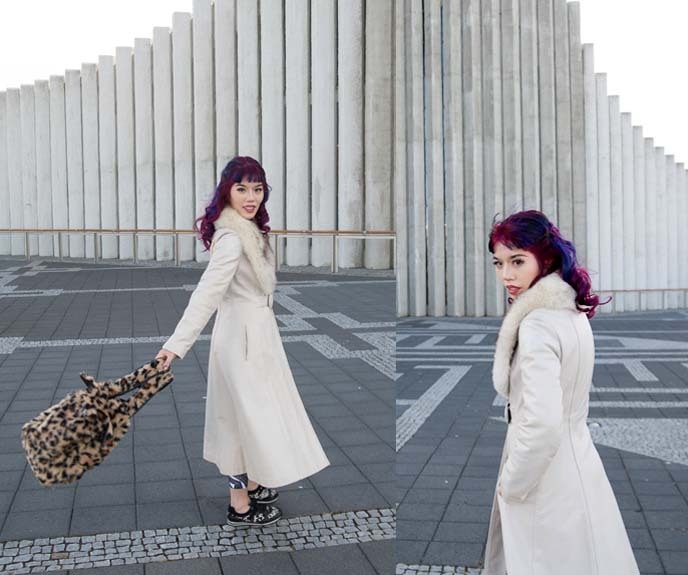 My leopard print fuzzy backpack is Gladnews, from Closet Child Tokyo. 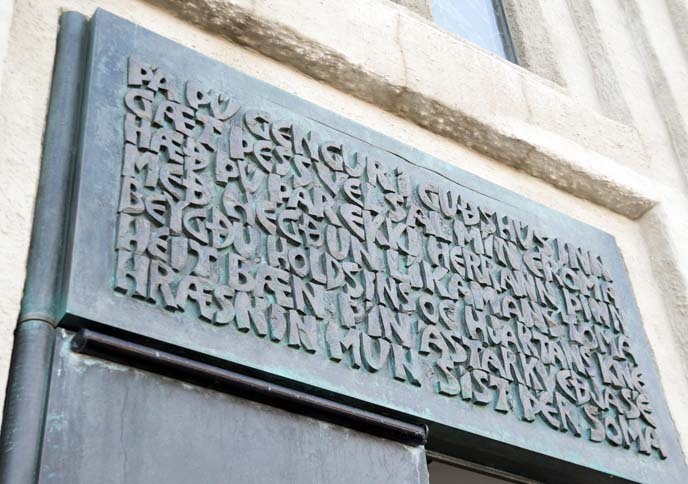 At the entrance, there is a poem by Hallgrimur Petursson, who the church is named for. 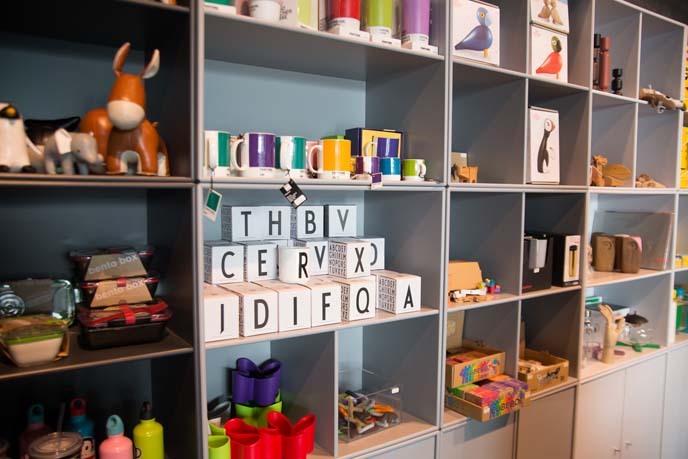 Isn’t the Icelandic language fascinating? It stems from early German and developed in isolation, which essentially preserved this ancient tongue. Look up, once you’re inside. 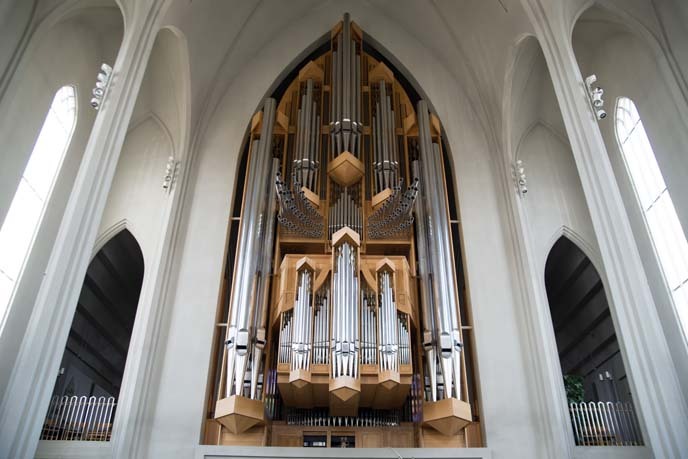 There’s a pipe organ that looks straight out of Blade Runner. 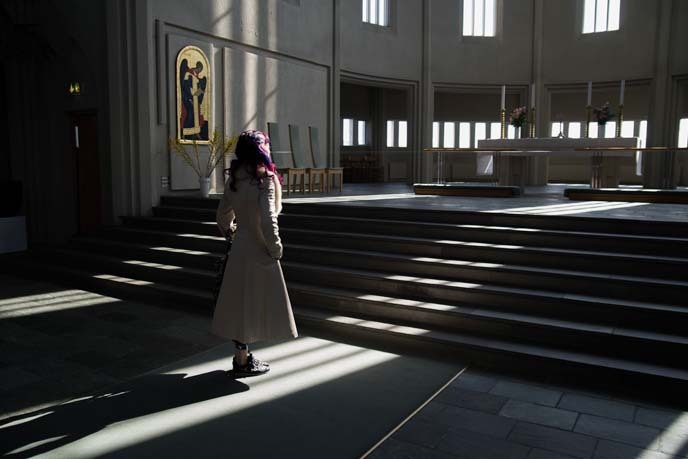 As soon as I stepped into Hallgrims Church, the organist played a short melody and it resonated through the white arches. 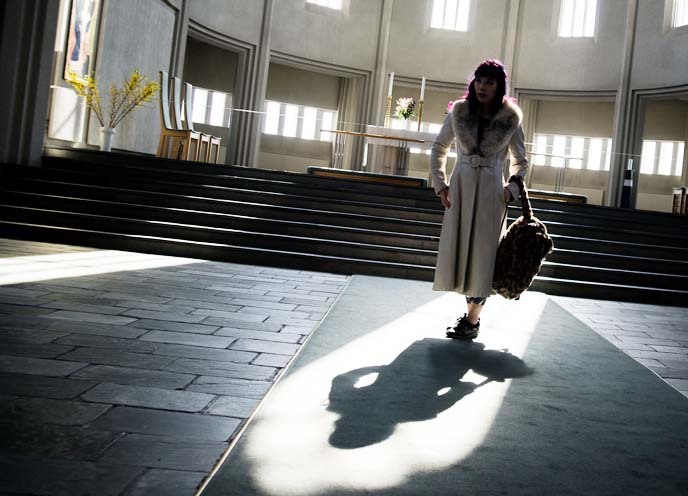 It was a rare sunny day in Reykjavik, which gave us the opportunity to play with light and shadow. 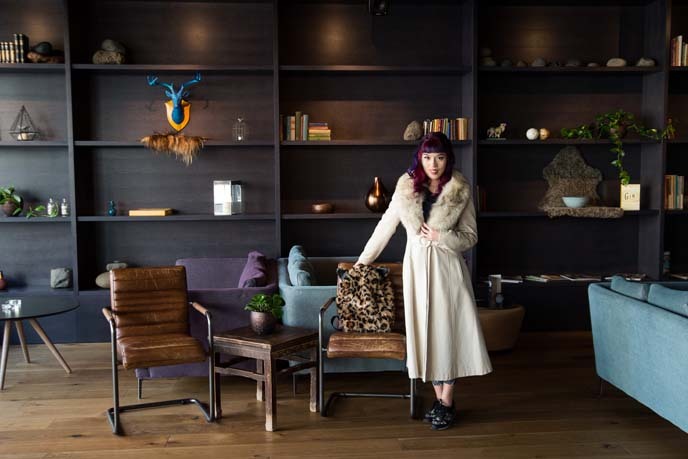 Photographer Joey Wong captured this dramatic image of me — it almost looks I’m in a coffin — cast by the windows. I thought the architect succeeded in building a space that felt like Iceland: stark landscapes under snow. 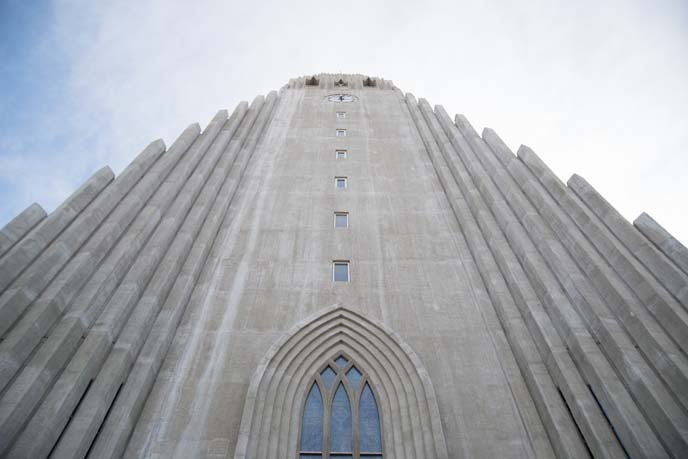 Hallgrimskirkja looks like it teleported down from another planet. It’s not your typical church, and I love that. 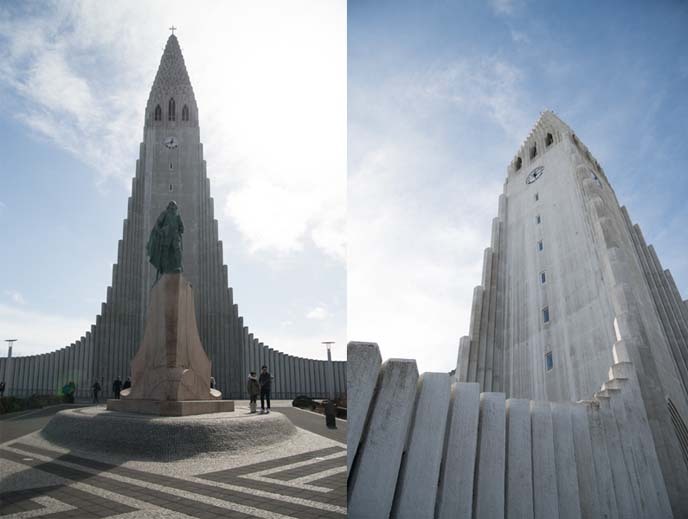 Outside, there stands a statue of Icelandic/Norse explorer Leif Erikson, the first European to set foot in North America. As we walked closer, Joey and I were puzzled by the facade, which seemed to shift colors and refract light from different angles. I found out that these panes are made from both clear and color-coated glass, and cut according to geometrical principles to fit on the steel framework. More than 1000 of these three-dimensional prismatic “bricks” make up the exterior. At night, the entire facade comes to life with moving light projections. 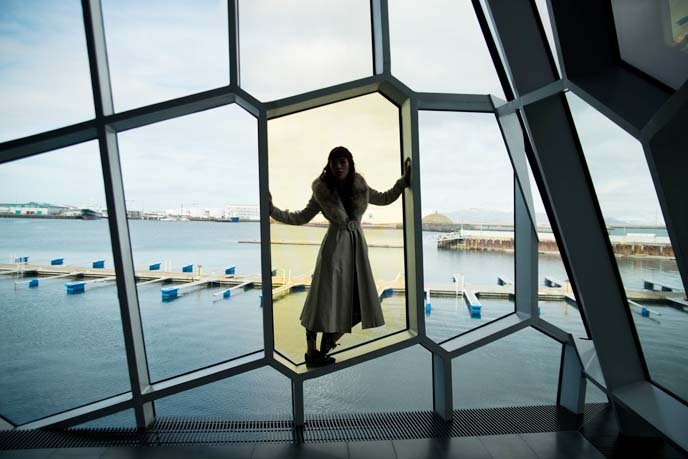 Inside, Harpa plays host to concerts and conferences (we heard musicians testing a gamelan on one of the upper levels). 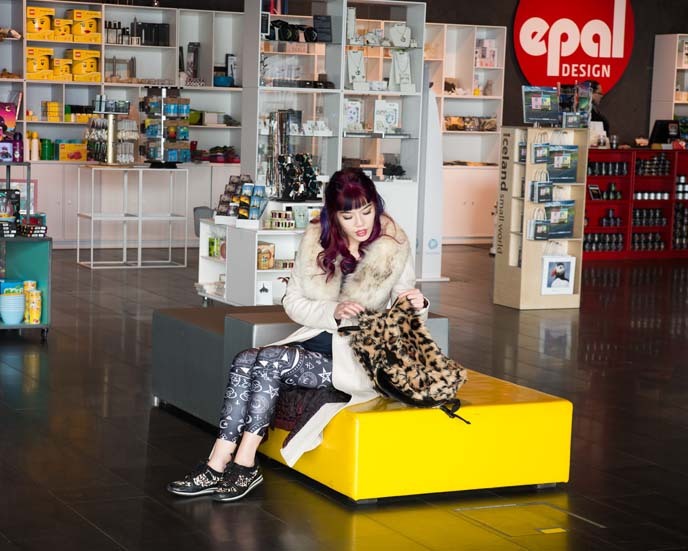 The lobby has an Epal Design gift store, and it’s well worth a browse. It has a sweet selection of Nordic and European decorative objects. Cuteness is universal, it seems! 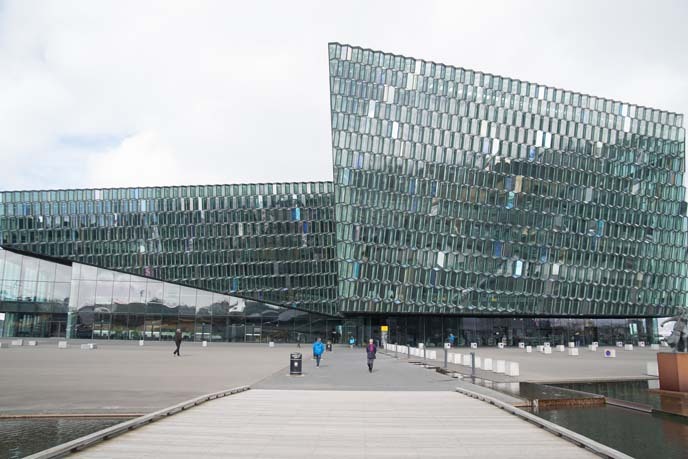 Bjork, Yoko Ono, Wynton Marsalis and more have performed at Harpa (upcoming events can be found on their site). 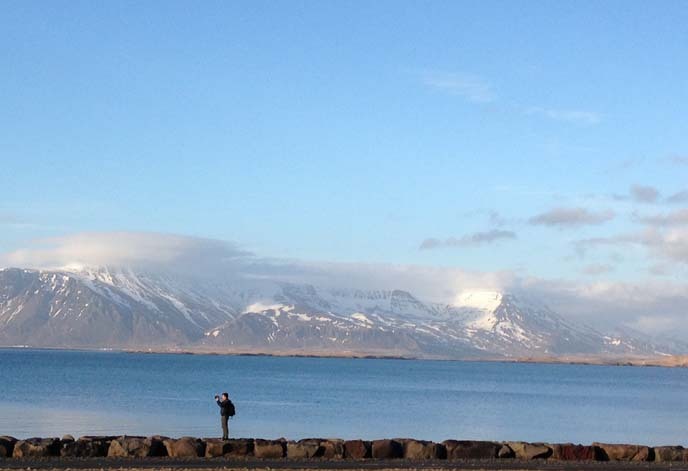 Reykjavik truly is photography heaven. Joey and I felt inspired by the city’s small details, eccentricities, and long hours of clear light. 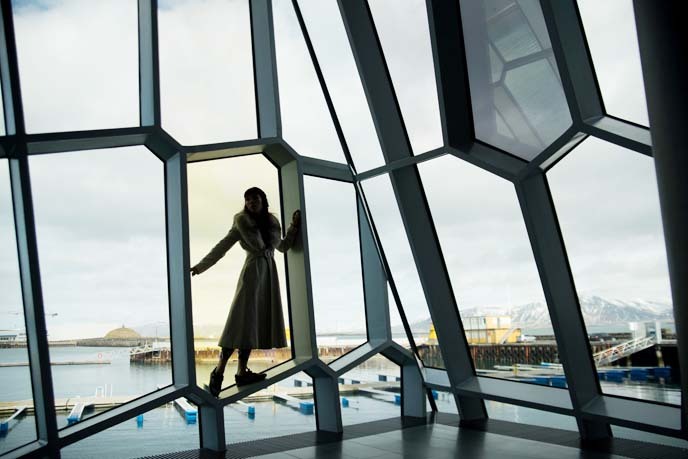 Photos can’t begin to capture the experience of walking through Harpa and seeing the changing lights, colors and moods. 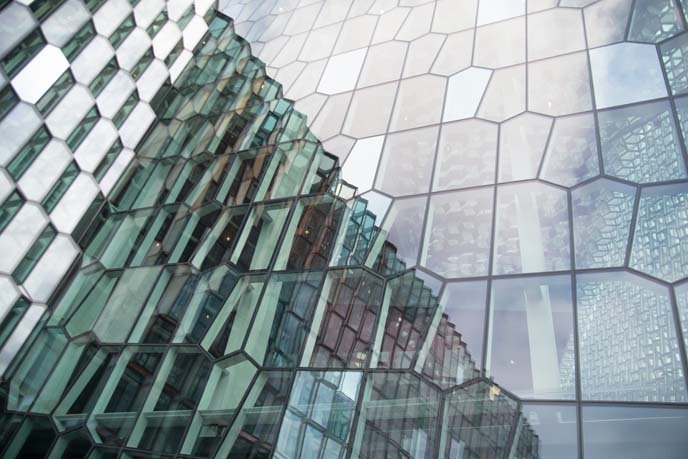 If you come to Reykjavik, you’ll have to stop by and see for yourself. Down the road, we saw the Sun Voyager or Sólfar sculpture. 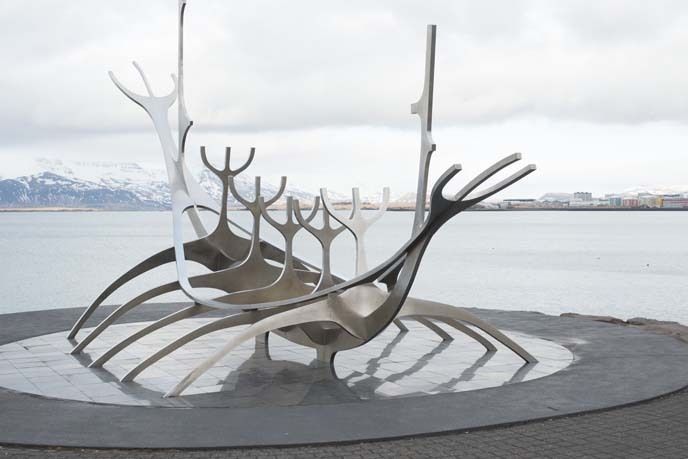 Made by artist Jón Gunnar Árnason and unveiled in 1990, this is a “boat of dreams, an ode to the sun.” It also pays homage to the people who first migrated to Iceland, centuries ago. 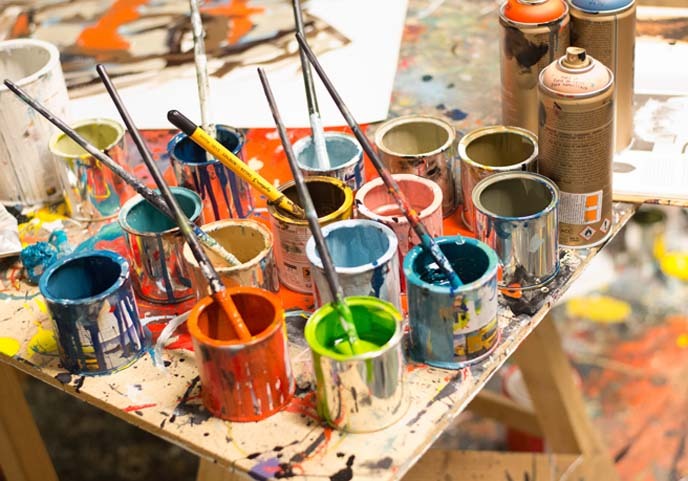 Reykjavik has many other art attractions, including various museums and a street filled with galleries. 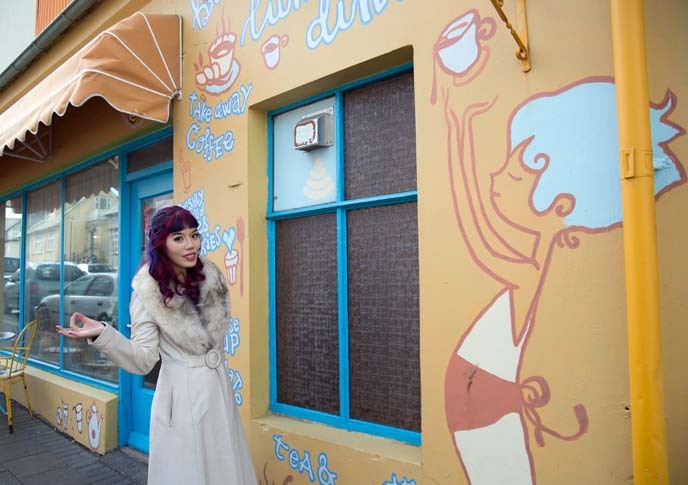 However, we were most impressed by the art we saw on the streets – like this yellow coffee shop painted with good vibes. 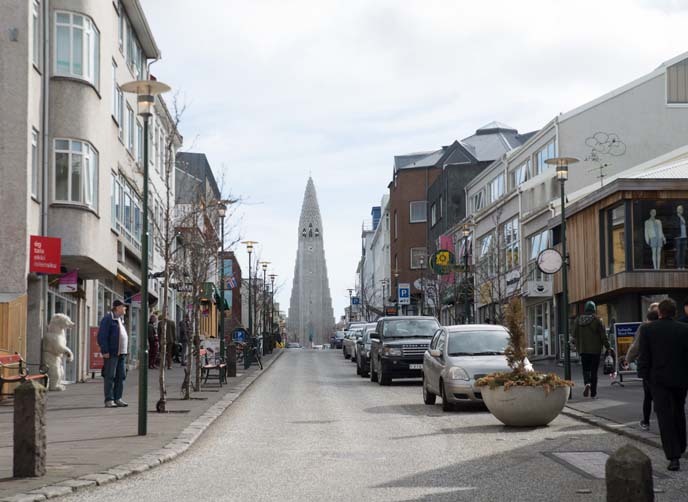 While we were strolling the main street Laugavegur, we saw a smiling face peeking at us from a side street. 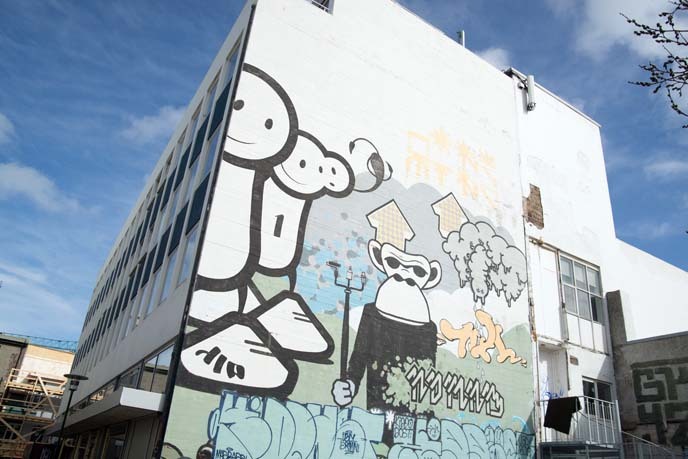 How cool is this giant mural, made by The London Police (from the UK) and Above (from USA)? From 2010-14, Reykjavik’s major was an oddball comedian named Jon Gnarr. He encouraged people to create art in public spaces, resulting in big, striking works like this one. We ducked into a corridor, which was covered from ceiling to floor with graffiti and illustrations. New works are constantly appearing, like this one. 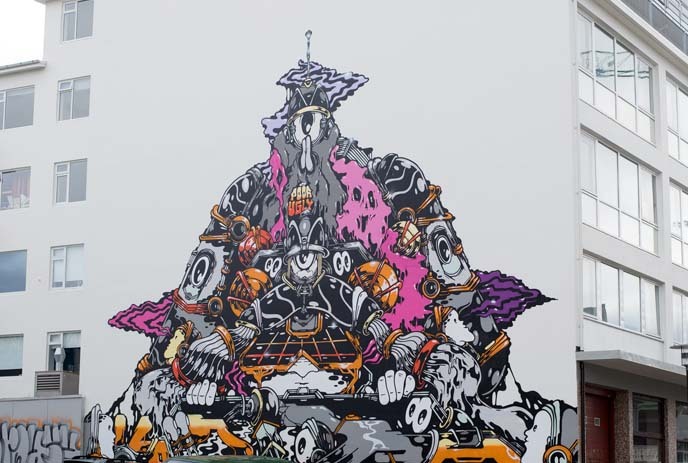 The scale, quality and variety of street art in Reykjavik can’t be beat. Some of the big streets have become very touristy (overpriced food, shops selling puffin toys). However, the city overall has an authentic feel, thanks to the DIY creativity that is allowed to thrive here. 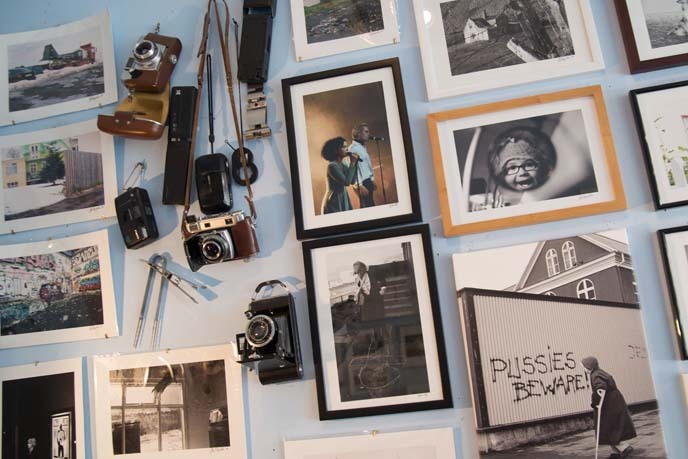 If you need more proof that Reykjavik has become a hipster haven, peer inside the camera shop, Reykjavik Foto. 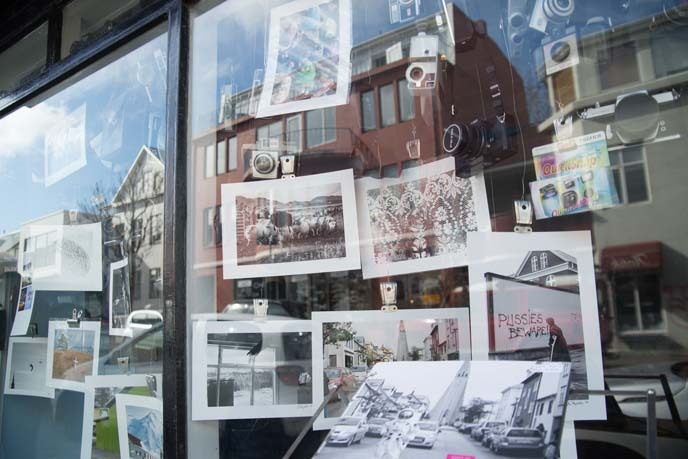 The store sells old lomography cameras, photo books, and prints that put a unique lens on life in Reykjavik. 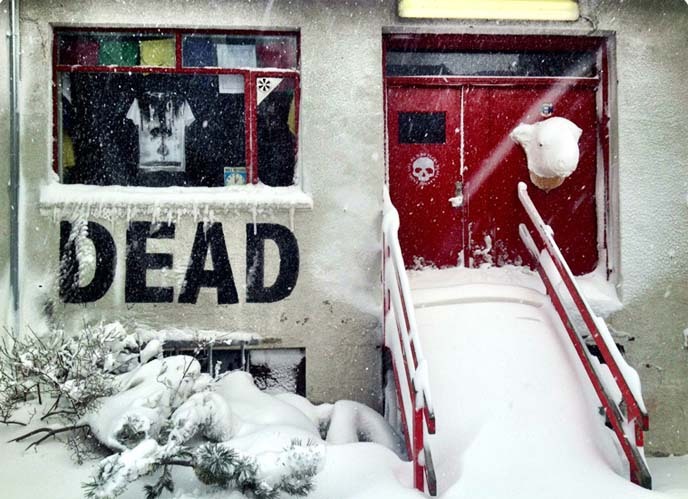 Finally, one of my favorite memories of Iceland was visiting Dead Gallery, run by Jón Sæmundur or Nonni. Look for a mandala and DEAD written on the wall. 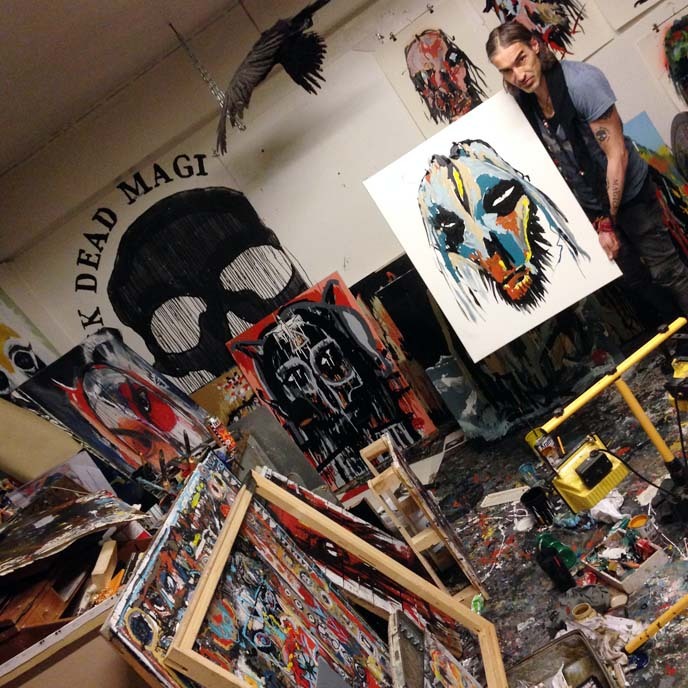 … and not only welcomed us, but let us go behind-the-scenes in his work studio! 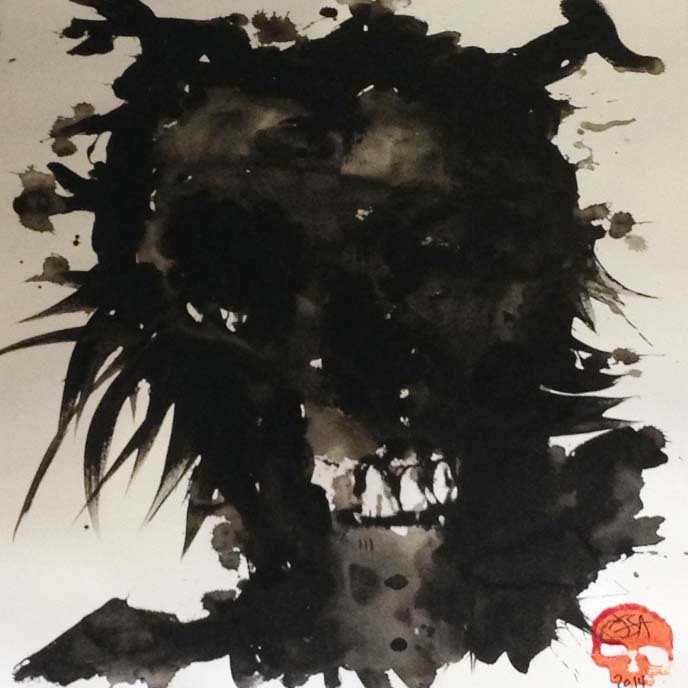 I felt an instant connection to Jon’s inspirations, which include Tibetan Buddhism and Goth aesthetics, particularly skulls. 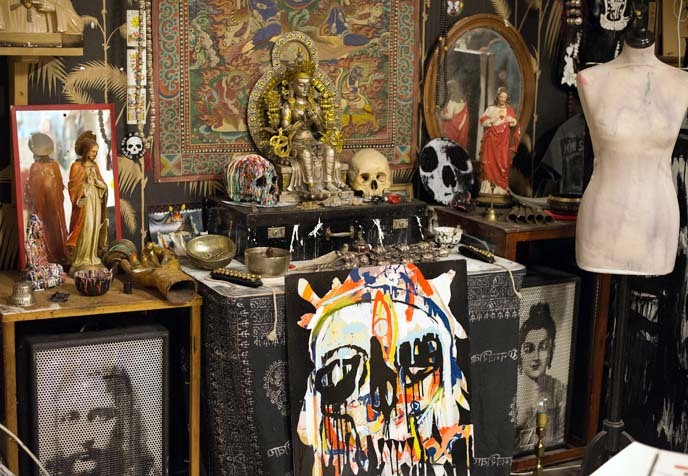 He surrounds himself with spiritual talismans as he paints. We also spotted Jon’s works at Húrra, a relatively new bar infused with incense and a young crowd. 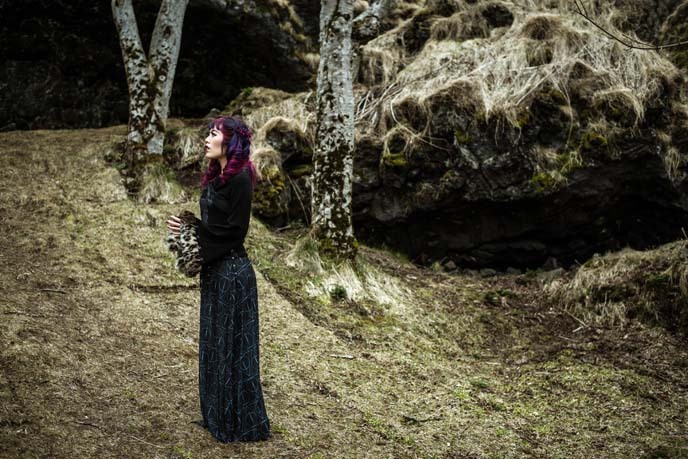 The nightlife in Iceland is notoriously wild; most have live bands who play surprisingly well. There are no cover charges, so you can hop into different bars and see what’s happening. 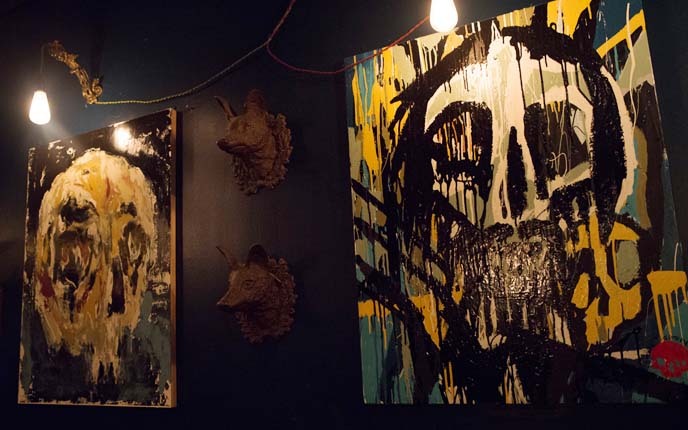 On any given night, we recommend Dillon, a laid back rock / alternative / metal bar. Back to Hotel Alda, who hosted our stay. This modern, boutique hotel played disco vinyl records during breakfast, and served blueberry Skyr (my beloved Icelandic yogurt). 5 stars right there. The lobby has a sleek retro feel, and houses a barber shop. Hotel Alda is located on the happening Laugavegur street — so you can party late, and easily walk back for a good night’s rest. I’ll leave you with this street view. Note the polar bear on the far left. 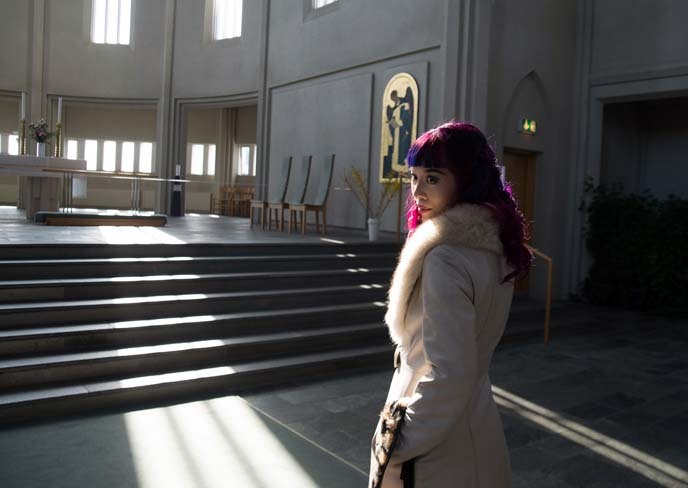 Isn’t Reykjavik the coolest place? Is it on your bucket list? 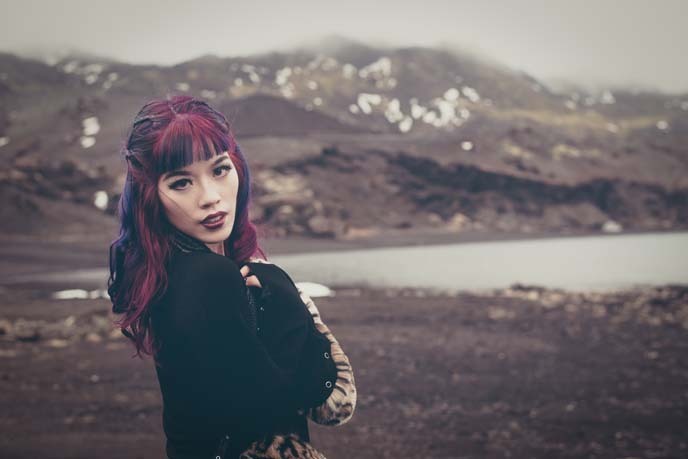 PS — see more of my latest travel photos and highlighted hairstyle (by Stephanie Hoy of Stratosphere Hair Vancouver) on my Instagram @lacarmina.